MUST SEE VIDEO!! PREVIOUS GOVERNMENT OFFICIALS TALKING ABOUT THEIR ENCOUNTERS WITH UFOS AND ETs! The most astonishing stories came from Sergeant Karl Wolf (57:49) who said NASA found an alien moon base on the dark side of the moon and he clearly saw the pictures! and also Sergeant Clifford Stone (1:10:48) who said since the first UFO crash site he investigated in 1969, there has been 12 more! Alien bodies were recovered, some deceased and some of them, ALIVE. After watching the video and hearing the stories, I now see why the government would choose to keep this information from the public. 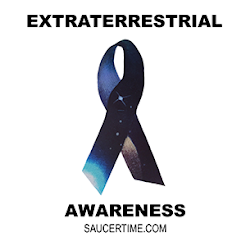 Our national security seems completely defenseless against the UFOS and with all their encounters it seems understanding extraterrestrial technology is in no way easy.